Prepare to be schooled – comics schooled, that is. 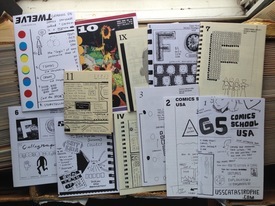 Here's a set of all 12 issues of Kevin Huizenga's one-of-a-kind pedagogical zine, Comics School / Comix Skool. Get out your tools and prepare to look under the hood at the engine that drives the comics meaning making machine. 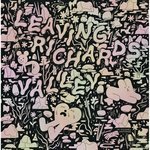 We're out of the set for the moment, but hope to have it back in soon, so please check back!